You must make reservations at least 5 minutes in advance of the time at Gabriel's Bar & Restaurant. train A,C,B,D,1 to Columbus circle also called 59th street.Please take the second car and get out onto 60th street we are between Broadway and Columbus Avenue. Yes, from 25 to 220 we can do it. Whether celebrating a special occasion with family and friends or hosting a corporate outing, Gabriel's Bar and Restaurant can accommodate all your special event needs. 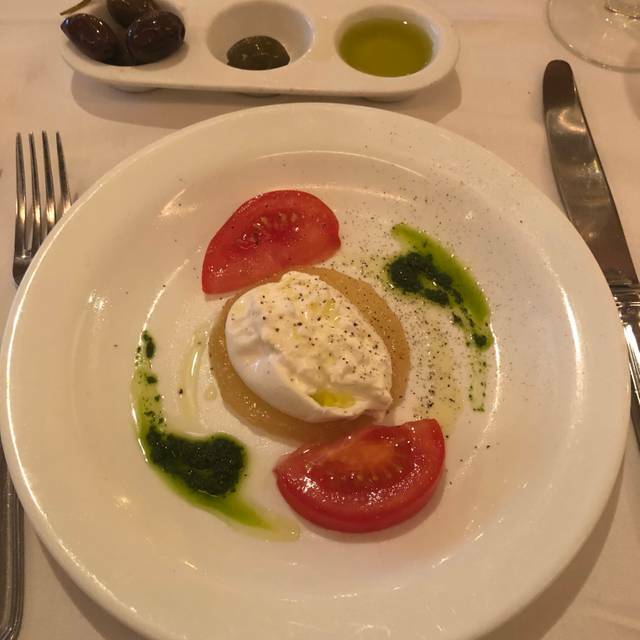 Gabriel’s Bar & Restaurant is an owner operated Italian restaurant in NYC, conveniently located near Lincoln Center. We have served as a hotspot since December 30,1991 for some of the most powerful, influential people, ranging from the celebrities we all know and love to important politicians and business leaders. We utilize only the freshest, finest ingredients to create each of our delectable dishes. We offer a vast selection of lunch and dinner options that are sure to please even the most discerning of palates. We also have an award-winning wine list, full bar selection, and delectable desserts to provide the perfect complement to your meal. Our favorite place to celebrate a special occasion or meet friends for a leisurely dinner. 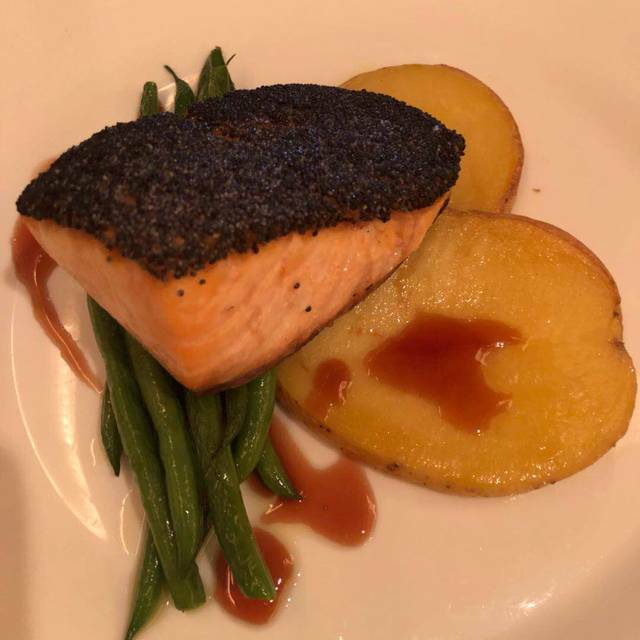 Food and service is consistently excellent. It’s a usual business spot. However the waiter we had barely acknowledged us and seem to want to be anywhere but there. A totally unsympathetic individual. Food was great, though. Never fails. One of the very best for business lunch or dinner. High quality food and service. Comfortable environment. Nicely spaced tables. And you can easily hear your table's conversation. Always amazing. Great food great service great atmosphere! Sorry but this restaurant was just ok. The food was fine, service was fine, ambiance was lovely, but with so many restaurants in New York City Gabriel's has to up their came. Sorry.. just being honest. Excellent fining experience. They make their own olive oil and its great! Good is fantastic. Personal service top notch!! Consistently good. Attentive service and good food. Excellent bar. Not outrageously expensive. Can be a but noisy when it gets busy. Perfect for pre theater at Lincoln Center. We'll be back. Gabriel's always is good, always is delicious, always is inviting and relaxing. This place and the food always cheers me up. I get there mostly for lunch but it feels like a place one can call home. This time I had a Kale salad that was delicious and a Brook Trout special which was divine. I've eaten at Gabriel's many times over the years, and it has never disappointed me. It has a high regard for quality ingredients. for creative recipe's, and presentation. The wait staff take pride in working at Gabriel's and they have warm, welcoming, down home personalities. It is not as expensive as other restaurants in the area, and they don't take advantage of the Lincoln Center crowd. I like the place very much. 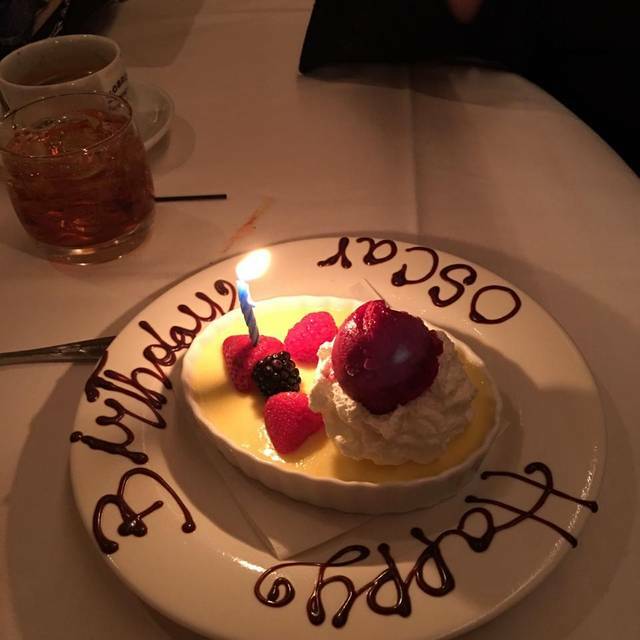 Gabriel's has been a special place for us since we got married in 1991, the year he opened. Ambiance, food, graciously presented. Great place--Gabriel is always on the premises. Place was full--rightly so. Great bartender and fabulous food--great neighborhood place and great before Lincoln Center. Service was attentive as well. The food was terrific. It's such a warm and wonderful neighborhood place that draws people from beyond the neighborhood. It's a repeat, repeat place. Excellent as always. 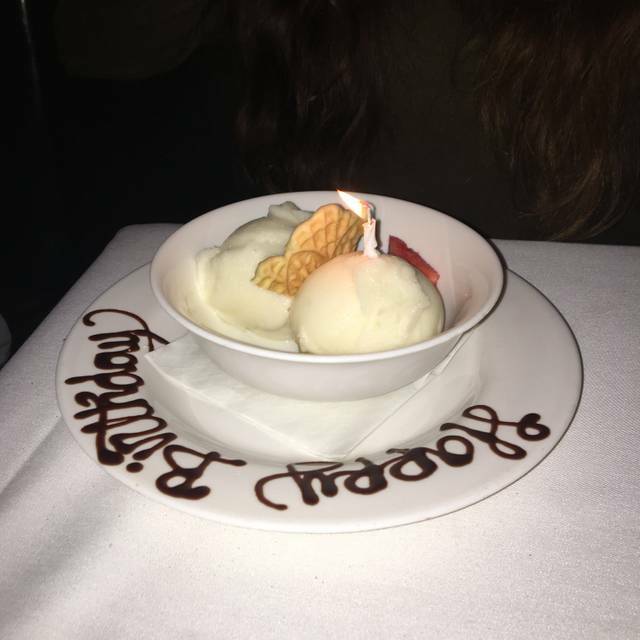 We are always pleased with the food, service and ambiance at Gabriel's. Unlike so many restaurants where the noise level is so high, you can actually hear yourself think and you can have a conversation with your friends and family! Four of us had the pre-fix lunch - delicious flavorful steak - 3 courses - excellent value. Ambience delightful - beautiful fresh pink rose on table - white table cloth and napkins - professional + friendly staff. Dining doesn't get any better - for grown ups. 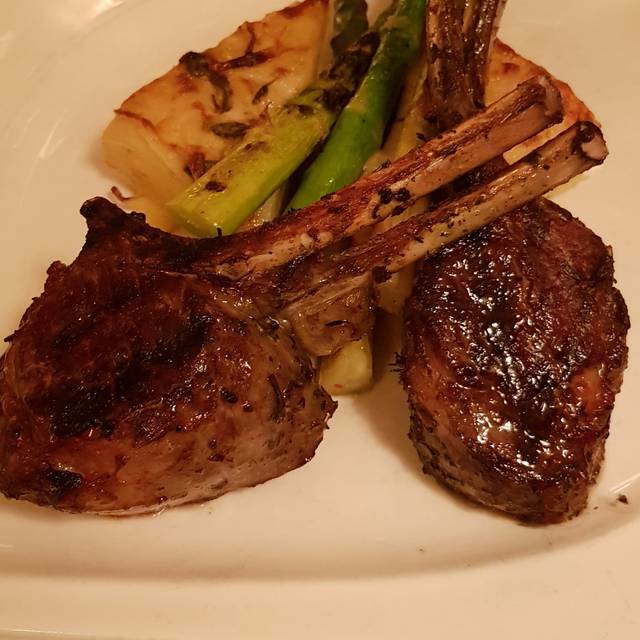 Best caesar salad, beet salad, lamb chops, tagliatelle bolagnese in all of my dining experience. My favorite restaurant! almost afraid to post this lest it become impossible to get a reservation. But Gabriel deserves the recognition. Food was great, large quantities and very good service. Food was above average but didn’t quite justify the price in my opinion. Was a great meal and good to be in a restaurant with a great staff, however, there were not any other customers there, so no real way to tell, know if it was a good serviced restaurant or not, and @ the end of the meal the waiter wanted to drop the bill as his shift was over, it was fine, and know not to go @ 2 pm ever again for a sit down lunch, as by 3 10 p they wanted to get out of there and rightfully so. Everyone was very pleasant and attentive. Food was delicious and displayed beautifully on the plate. Caesar salad was probably one of the best salads I’ve had. Ravioli was perfection. Tiramisu was excellent. Great restaurant. Superb food. Real New Yorker locale with few tourists. A sophisticated venue where it is easy to converse. The food was not special. Service good. Overall too expensive. My daughter and I had a lovely meal here before a show at Lincoln Center. The Maitre D at the restaurant came to our table a couple of times to speak to us, ask us about our meal and our plans for the evening. I had the special Seafood pasta which I enjoyed and my daughter had the half roasted chicken which is a huge dish. Unfortunately we couldn't take the dish home since we were going to a show but we would have like to. We love eating at Gabriel's. The food and service are the best! Food so wonderful waiter so helpful sound level such that you can hear each other talk very comfortable but perfect meal, lovely ambiance. Lincoln Center favorite. Although a full house before curtain time great service of a fine menu. Fine wines by the glass. Our favorites: mussels, tuna crudo, escarole salad and exceptional duck ragu. Keep hitting home runs!!! Took our waiter's recommendations and had one of the best meals of our lives! Charming place with "regulars" that give it a warm, neighborhood vibe. Highly recommend. Place was a pleasant spot to eat pre-show (Lincoln Center). Bartender offered a glass of water with drink at the bar without asking. Wasn't a big portion but grilled calamari was exceptional. No issue substituting other vegetables with entree. Service was great. Price of food a bit high but not out of the normal for a nice place in Manhattan. We had a terrific pre-concert dinner at Gabriel's. I requested a "corner table" and at first was directed to an end table right next to another couple in very uncrowded dining room. We were moved to an actual corner table in separate dining space. Over the coarse of the evening we concluded that the second table was in a room for preferred customers. 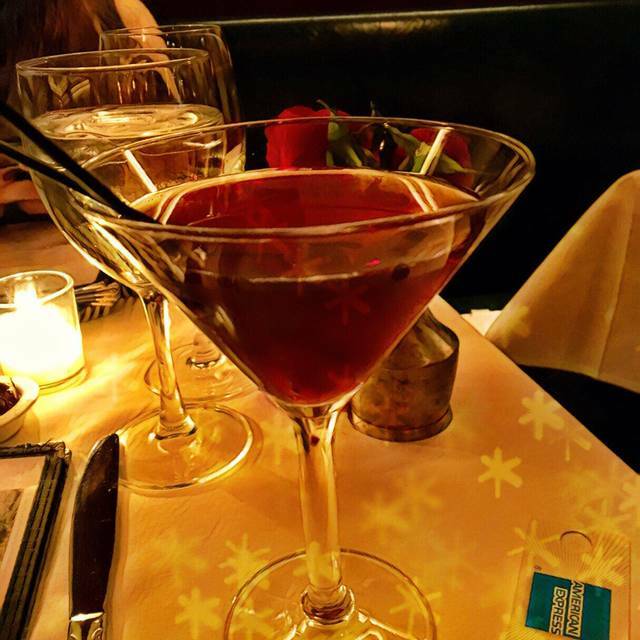 At any rate, the Manhattan cocktail may have been the best of my lifetime. The Tagliatelle entrée was superb, my dear wife loved the Grilled Tuna. Would highly recommend Gabriel's to friends and relatives headed for UWS. First visit to this restaurant conveniently located between Lincoln Center and Carnegie Hall, reasonably priced with a nice wine list and, thoughtfully, a number of half-bottle selections. Octopus salad was attractive and nearly a lunch in itself, while the (not very) spicy tuna tartar, also very good, was more like a creamy dressing diced tuna salad with a small amount of greens. Main scallops dish was nicely presented and scallops grilled just right, and the trout special was fully boned, but looked a bit forlorn on its side on top of the beans. We'll be back soon enough for dinner. Always a delightful experience at Gabriel .. with our favorite waiter Luciano ! Expensive mediocre food- service was slow and very spotty. The room is comfortable and not as noisy as most NY restaurants. Warm with lovely service, this is the kind of restaurant hard to find these days. Solid food and cozy gracious vibe. A perfect experience. The staff was friendly and helpful, the food great, the room handsome and tasteful. We had a very nice time and will be back. The portabella mushrooms and Caesar’s salad were very good from the Insalata. 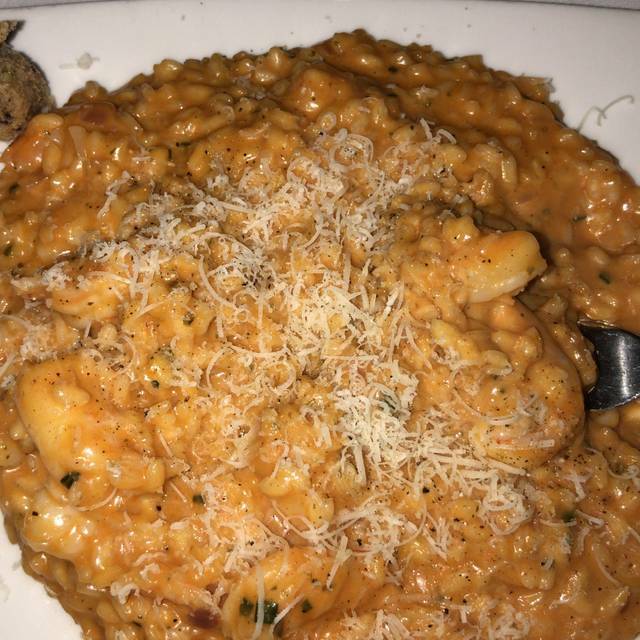 The seafood special pasta was great but the sweet sausage pasta was too rich and overcooked. Gabriel himself greeted us by name when we arrived, as he always does, thereby maintaining the by-now legendary hospitality of this wonderful restaurant. 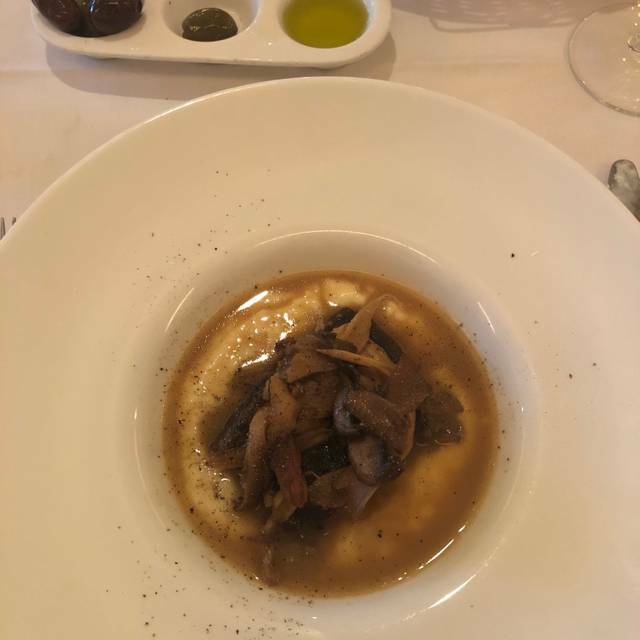 The waiters feel like old friends, and the cooking is consistently celestial -- always superb, always imaginative (the capers in the grilled calamari knocked our socks off). This is our favorite celebration place.